Onduline corrugated bitumen roof sheet Fixings are purposefully designed to be used with the Onduline Corrugated Bitumen Roof Sheets when fitting to timber. Each Onduline Corrugated Roof Sheet requires 20 fixings. 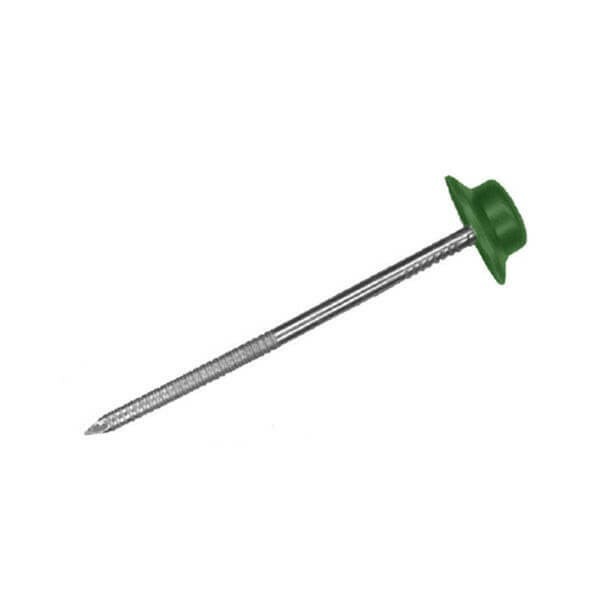 The Nails are galvanised and are 65mm long and have a coloured water proof cap. They are available in Black, Green, Red and Brown to suite all of the colours in the Onduline range. service good. fixings were green for black sheets!